I can no longer drive, I can't work (I'm a doctor), I have to go and sleep at my mother in law's place (there are no smart meters there yet). My life is completely ruined and the energy companies and members of Victorian Parliament completely ignore me. Two doctors have confirmed my disability is entirely due to my sensitivity to smart meters' radio transmission and I am 100% sure of that as I can always tell accurately if I am in a smart metered area or not. What if this is happening to an old lady living alone? Where can she go? We are all morally obliged to speak up and do something about it, if not for ourselves, for the vulnerable amongst us that, if affected, could not do anything about it. Working with the Radiation Research Trust, Wired Child, and ES-UK, MCS-Aware have started a national campaign to protect the health of children and people with Electro-Sensitivity (ES). 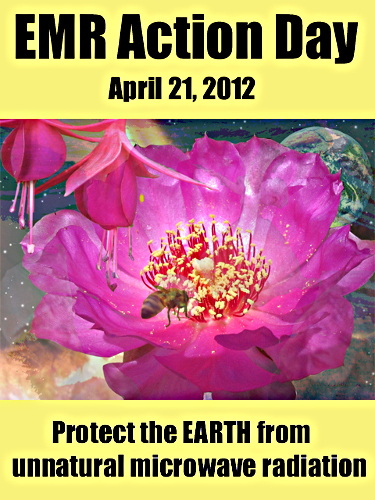 We need 100,000 signatures online or on paper petitions by April 2012. The campaign is vital to raise awareness of Electro-Sensitivity which affects as you know approximately 3% of the population, including people with ME and MCS. As you may know the Government are planning to install Smart Meters in every home, school and workplace in the UK to provide real-time monitoring of your gas and electricity. 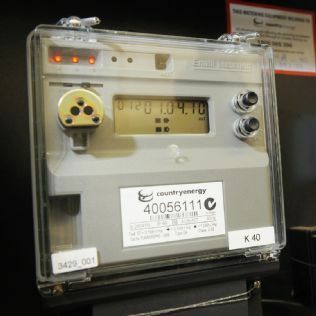 The meters will transmit your personal information every 30 minutes via pulsed microwaves to a hub in the street which will pass the information on to a new central Data and Communications Company. Some areas have already started installation. The scheme raises concerns about privacy, security and health. Say NO to Wireless smart meters! We are campaigning to demand a fibre optic network with optional wired Home Area Networks. This is really imprtant; if the present wireless scheme goes ahead many people with ES will simply become homeless as they will not be able to adequately shield their own homes! I know many people this has already happened to because of the phone mast infrastructure - they lost their jobs and homes. More and more people are developing ES each year. Worryingly, smart meters emit much higher levels of radiation than mobile phones. Posters and fliers are available on the website. I would be grateful if you felt able to support us as we need 100,000 signatures by April 2012. Signatures can be online - www.SmartMeterPetition.org or on the paper petition downloaded at http://www.smartmeterpetition.org/posters-a-petition.